Bobbi received a Bachelor's Degree from the University of Utah, and Master's Degree in Social Work from the University of Tennessee. She also earned a Master's Degree in Theological Studies at Vanderbilt University. During this time she worked with adolescents at the Psychiatric Hospital at Vanderbilt, where she specialized in depression, anxiety, and eating disorders. Upon moving back to Utah, Bobbi worked in a residential program treating women with eating disorders. It was during this time she participated in a two year study looking at spiritual interventions for psychological pain. She then went on to develop a Spiritual Awareness and Eating Disorder Track at an adolescent residential treatment center. 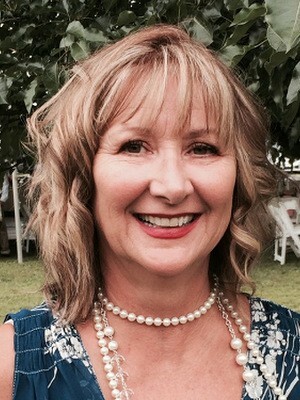 In 2005, Bobbi was hired at Vista as Program Director after developing a residential program for adolescents and women suffering with eating disorders. Bobbi also completed the Foundational Training with Behavioral Tech, LLC, in Dialectical Behavior Therapy. She currently oversees the Vista Eating Disorder Track and Dialectical Behavior Therapy Groups. Bobbi enjoys reading, cooking, and traveling to warm climates. She loves the ocean and hanging out with her family.